Visible Ink Press : What movement won the acclaim of two presidents? What movement won the acclaim of two presidents? It occurred in the late 1800s and early 1900s. It was hailed as "the most American thing in America." It was a cultural, religious, and political education movement. It was described as "an integral part of the national defense." It was a cultural, religious, and political education movement that began in the 1870s and lasted into the 1920s. An estimated 45 million Americans participated in the chautauqua, making it a dominant force in American life during its day. Theodore Roosevelt (1858-1919) hailed it as "the most American thing in America," and, during World War I (1914-18), Woodrow Wilson (1856-1924) claimed that it was "an integral part of the national defense." Some scholars credit the chautauqua movement with sowing the seeds of liberal thought in America. The movement began in 1874 at a Methodist Episcopal campsite on the shores of Lake Chautauqua, New York. There a young minister named John H. Vincent (1932-1920), of Camden, New Jersey, endeavored to train Sunday-school teachers in a summer camp atmosphere. The program grew in popularity and was expanded beyond Bible study and religious training to include lessons in literacy, history, and sociology. Chautauqua-style summer camps, commonly called Sunday-school assemblies, began popping up across the nation; all of them featured a general meeting hall or pavilion set in a campground. By 1900 there were 200 pavilions in 31 states. Attendees of all ages would attend the summer programs, which featured speakers on a wide variety of subjects, including the arts, travel, and politics. Performances also became part of the movement, with a variety of musicians and entertainers joining the lecturers. Early in the twentieth century the chautauqua became increasingly secular and went on the road as an organized lecture and entertainment circuit. Speakers and performers traveled from town to town, where tents were set up for weeks at a time to house the summer programs. Many Americans saw their first movies in chautauqua tents. The movement died out in the mid-1920s, with the improvement of communications and transportations. Some consider the chautauqua the first form of American mass culture. 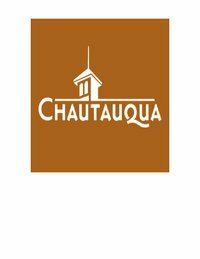 The Chautauqua Institute in New York continues to host a summer education program in the spirit of the original.